A Warming, Sweet and Spicy Treat. No Tricks Here! I've only tried a few ryes but am finding that I quite like the punchy, spicy and herbal complexity the grain offers. This is my first Canadian rye (well first Canadian whisk(e)y all together, I think) and I'm happy to report I'm more than pleased with the virgin oak matured, copper pot still distillate. Bottles been open going on two months now and has about 3/5s left. Review is from a neat pour sat for fifteen minutes or so. Nose - Warming, sweet and spicy with menthol/eucalyptus notes ever so slightly taking the lead. Some red apple, toffee, ginger and a touch of tobacco and leather. Sticky peach glazed French pastries. More complex than I'd have expected to be honest. Finish - Medium. 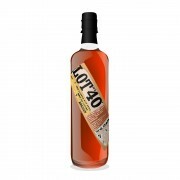 It fades to a sort of fruit syrup drenched oak with some dry and bitter tannins; but given the relative richness of the mouthfeel it balances this whisky out nicely and makes you reach for the glass again (which is always a good sign). There's also a kind of minty 'nip' that lingers about nicely as well. What I really like with this whisky is how it tows the line between being not too sweet and not too savoury. It also seems to be more balanced than other ryes I've had, especially where the heavy spice notes are concerned. What struck me with this was just how good it was as soon as I opened the bottle - no need for airing or decanting here - and it's not done much since then expect keep bringing a smile to my face every time I pop the cork. I'd be interested in the age of this and the mash-bill, which I'm guessing isn't 100% rye but could well be wrong? in short, a great introduction to Canada's whisk(e)y wares and, perhaps, rye whisk(e)y in general. Recommended - seriously. And for those in the UK this is about £30 or maybe under and gives genuinely excellent value for money. Bring on the cask strength . . .
I’m glad you enjoyed this. I’m fairly certain this is 100% unmalted rye (the 2012 release had malted rye in it), but you’d have to ask @paddockjudge to confirm. @OdysseusUnbound - Cheers! It really is a pleasure. One of those whiskys that has the knack of being easy (too easy!) to sip at whilst being rewarding every time. I can't say it evokes memories of freezing my arse off in Montreal or swimming in the lakes of the Laurentian mountains but it does make me want another bottle and to see what else the real jewel in the Commonwealth Crown has to offer lol! @RianC, you've posted an excellent review, first time Canadian or not! 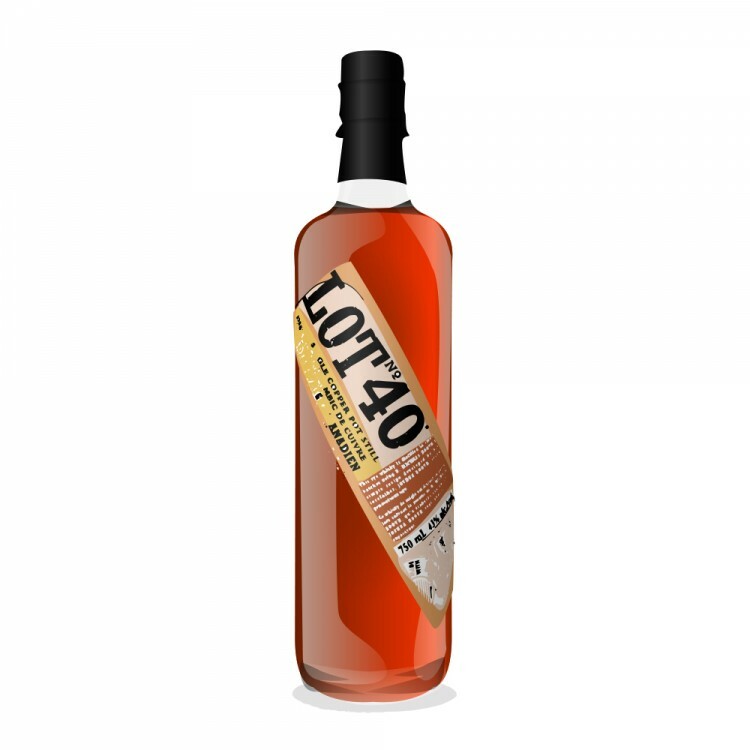 Your tasting notes have captured the essence of Lot No 40 Rye. In response to your comments, the age is somewhere around 10 years with the recent cask strength iterations being eleven and twelve years. The mash bill is one hundo percent RYE. The distillation method is the key here. Surely rye grain is necessary to make rye whisky; however, the copper pot still and strategically placed lyne arm allow for the rye grain characteristics to be preserved and not boiled off as it would be in a column still. It is obvious that the character of the rye grain is maintained, or better yet captured, it isn't all oak doing the work here. My source for this information?...a day spent at the distilery with Don Livermore, Master Blender at Corby's Wine and Spirits (Wiser's, Hiram Walker) and the always affable Jason Hambrey. In the pic below an insulating jacket hides the copper still...notice the angle of the lyne arm....is it 40 degrees?! @paddockjudge - Thank you for the kind words and very informative response. 100% rye . . . well, given what you just told me maybe that's not so surprising. It's the fruityness that got me most with this whisky; and having another just now whilst looking at that picture is a treat. Must have been an amazing tour! ?